Notice anything different about the way the youngster in the photo below is riding? Look closely. This style of riding is known as "riding triangle style"SANKAKU-NORI (三角乗り）. Sixty years ago bicycles were the only affordable private transportation households could afford, and even then cost two months' salary. Most families had only one bicycle, the "family bicycle". 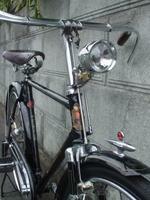 Only affluent households had children's bicycles. 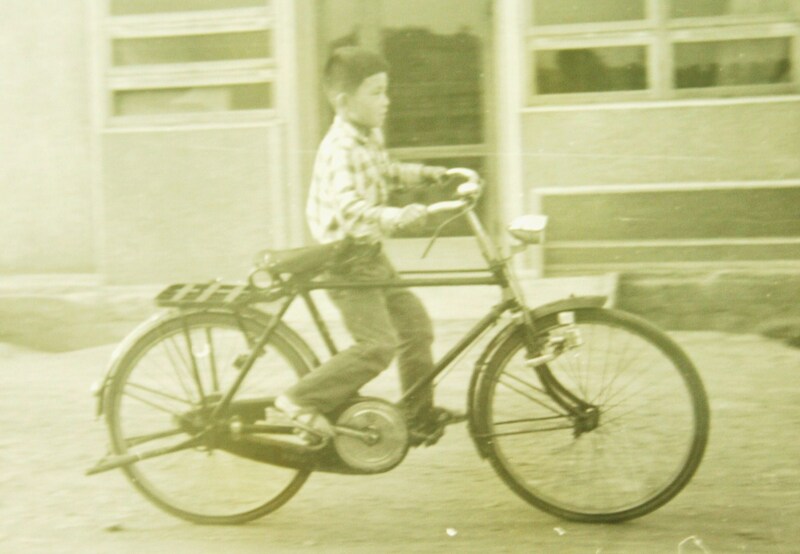 The vast majority of of children growing up in the 1950's learned to ride a bicycle using the "family" bicycle which was typically a men's 26 inch all steel diamond frame. 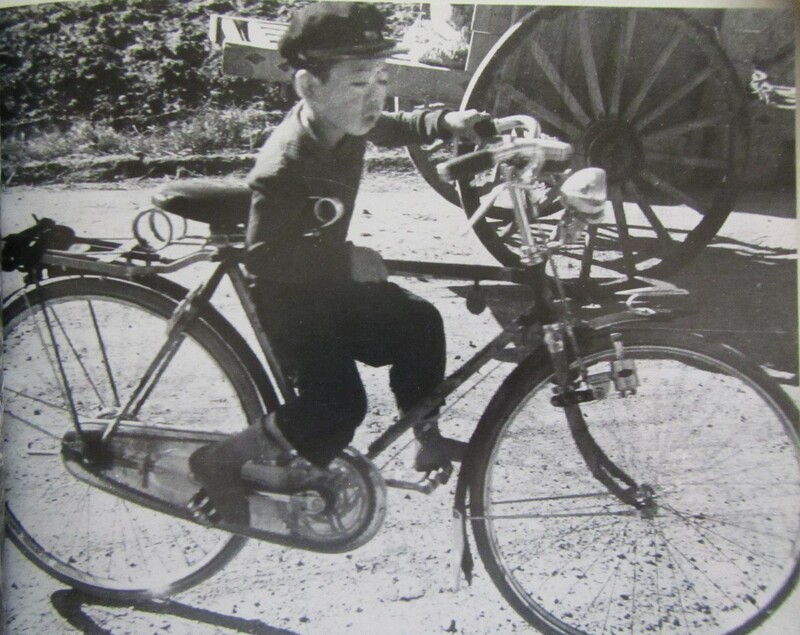 The top tube presented a challenge as the child's legs were to short to reach the pedals. But "where there is a will, there is a way" and children rode adult bicycles despite their legs being too short to reach the pedals by employing an acrobatic-like technique known as "riding triangle style". As can be seen in the above photo this "riding triangle style" consisted of inserting the right leg through the main triangle of the frame to the crank-side pedal, and, whilst leaning the bicycle to the right kicking off with the left foot to gain momentum and then placing the left foot on the other pedal. You have to admire their sense of balance as much as their determination. Keep in mind these bicycles cumbersome weighing around 35 kilograms, more than the weight of the child. 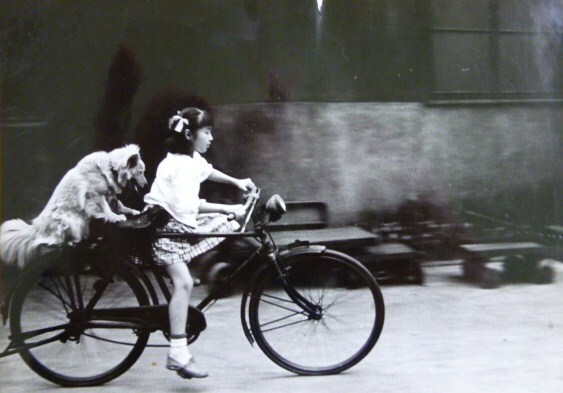 Not only boys but many a young girl also learned to ride a bicycle "triangle style".